Ewelina Czapla is a 22-year-old slalom and freestyle skater from Rzeszów, Poland. She is one of the three Czapla sisters, who are known internationally from competitive slalom skating and numerous slalom and freeskating online edits. Her and her sisters have been skating for Powerslide now for several years. She currently resides in Warsaw, Poland, along with her older sister Paulina, where she is a slalom instructor with I Love Rolki. You have two sisters that skate as well, how old are they compared to you? Paulina is 23 years old and Justyna (Jupi) is 16. How did you three begin skating together? Paulina went to a secondary school where the PE teacher offered inline skating classes. This is when she saw slalom for the first time and fell in love with it. After a few months of watching her skate I also wanted to try it. We started skating together and skating became the main topic of discussion at our house. It was only a matter of time before Jupi would try skating as well. The beginning was so cool, we had a lot of time to skate and just have fun. Over time we started treating it more seriously. Paulina and I are similar in age and have always had a good relationship. Jupi however was 6-7 years younger then us and thanks to skating it brought all of us closer together. How old where you when you began skating? What were your first skates? I began inline skating when I was in primary school. I was around 8 years old, the same with Paulina. Our first skates weren’t actually ours! We took our cousin’s skates, tried them out and liked them. Then our mother bought us Powerslide Cell II skates! Ewelina on her Custom Powerslide Evo Boots. What kind of skating did you start doing when you began? I think it is the same for most skaters; first you need to learn the basics. Before we started to do slalom we were skating on the playground, in parks and through the city. It was nothing special, basically we were just fitness skating. 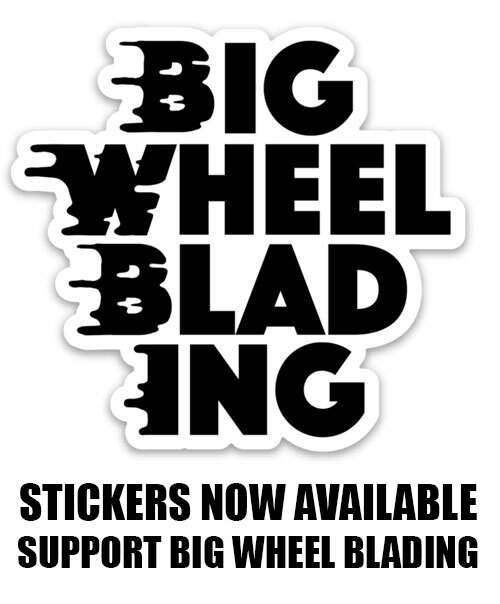 Have you done or do you do any other disciplines of inline skating? I’ve tried many other disciplines of inline skating like aggressive, speed, hockey, slides, high jump and bladecross. I don’t do any of them often now. After trying them all, I felt that I was best at slalom. Currently I am preparing myself for a half marathon. Honestly, I do not like watching slalom videos. I used to watch them a lot but I have stopped enjoying them. I do like watching aggressive videos from time to time and also speed skating races. What are your favorite edits you have put out? I have done many edits with my sisters and I love each one of them! But my favorite is the one from Bristol. How many hours a day do you spend a day practicing? In the past I was able to spend 7 hours a day on skates, now I have more responsibilities like my studies, having a job and teaching classes. These days I get to skate very rarely for myself. How often are you training with your sisters? Unfortunately, we do not get to skate or train together very often. Justyna lives in a different city, far away from Warsaw, and Paulina has a different day schedule from me, so it is hard to synchronize. I hope it will change when Jupi moves to Warsaw! Do you do any training outside of skating? I run, swim and go to the gym. Team Czapla checking out the guest locker-room at the Polish National Football Stadium. You have been skating for Powerslide for many years now. How did you get sponsored by them? Powerslide was looking for some skaters from Poland to be on their team. My sisters and I were skating a lot, participating in events and progressing with our skills. We were visible and promising in the world of slalom. When it came to talks about a possible sponsorship, our coach said they had to sponsor all of us or no one at all. 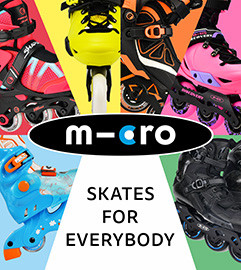 How has skating for a company that releases so many different skates and innovative technologies been? What are you favorite skate setups throughout the years? It is great to skate for such a big company like Powerslide, with this awesome crew. I have had many opportunities to test new products and was also involved with helping develop new products as well. I have had so many skates that it is hard to choose the best one! My first custom HC Evo (red & black) skates are the skates I liked the most. How is skating slalom on triskates compare to skating them on a freestyle setup? How are the Katana Trinity Frames? Triskates are the best for speed slalom! I am currently learning do to freestyle on triskates. and had difficulties in the beginning and had to get used to it. I still don’t feel super confident on them, but I think it is just a matter of time. Some things that at first seemed impossible, I am now able to do! Usually there are 4-6 big events a year, plus I also participate in smaller events. This season I am competing less than I used to. I like an event in my hometown of Rzeszów, which has been taking place for a few years. It is not a big event, but everyone is very kind and the atmosphere is great. This is what is missing from other competitions. What is your greatest personal achievement in skating? I won the Polish Championship and came back with gold medals from competitions in Korea and China. What is I Love Rolki? It is a project that promotes different kinds of inline skating. We have experienced instructors who offer free workshops around Poland. Also we have blading schools, which teach people how to skate and how to have fun on skates. We also do shows and demos. What cities in Poland have the strongest slalom scenes? How long have you been teaching slalom skating? How many students do you usually have? I think I started teaching in 2010. I do classes and workshops and there are always a lot of skaters who signup. Some of them are beginners who just want to try it, while others have been skating for years. What are the most difficult tricks and maneuvers for your students to learn? Each student is different and has his own predispositions, but as I see, most of them have problems with sitting tricks. For me the hardest thing to teach them is punctuality! The Corvo was the most challenging trick for Ewelina to learn. Do you travel to different places to teach skating? Yes I do, and I love it! I travel a lot around Poland and I started to do workshops abroad, I’ve been to Greece and can’t wait for the next trip. What skater influenced your skating the most throughout your career? Who is your current favorite skater? My sisters, without them I would not be skating. I get to travel for skating all the time. Sometimes just to different cities in Poland, sometimes I go abroad, but 90% of my trips are connected with skating. From March until October, I spend almost every weekend in a different place. What is your favorite city skating has taken you to? Whenever I think about my trip to Singapore, I want to be back there. It was one of the best trips I have ever been on and is definitely the best place where skating has taken me! Where do you want to see your skating take you in future? I am dreaming about a trip around the world on my skates!